On Saturday, October 27, 2018 from 10:00a.m. - 2:00p.m. 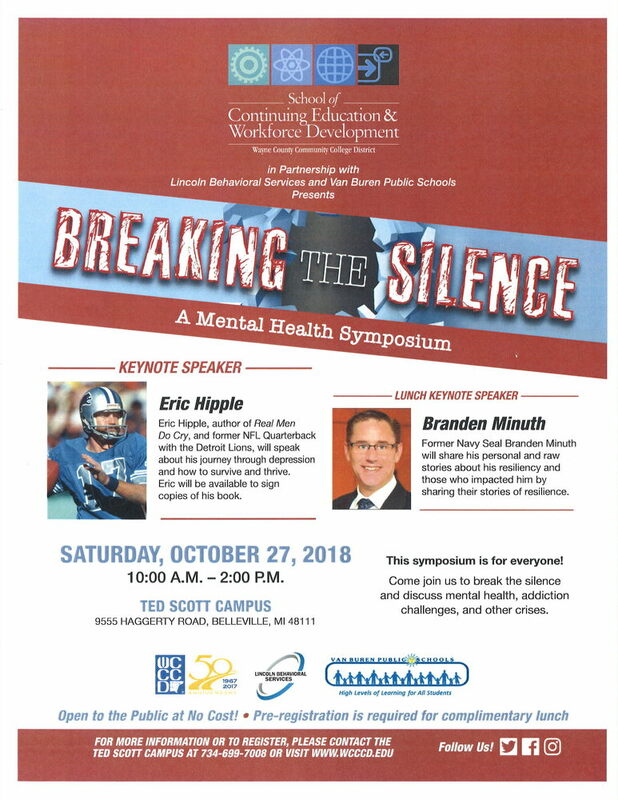 WCCC in partnership with Lincoln Behavioral Services and Van Buren Public Schools presents Breaking the Silence - A Mental Health Symposium. Eric Hipple, former Detroit Lions Quarterback, will be the keynote speaker. This symposium is open to the public at no cost. The location is the Ted Scott Campus at 9555 Haggerty Rd., Belleville. For more information or to register, please call 734-699-7008.